A vulnerability in some VPN providers can ensure that the real IP address of users is revealed, warns VPN provider Perfect Privacy. 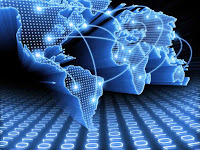 A VPN (Virtual Private Network) is a secure connection between a computer and a server elsewhere on the Internet. This connection is encrypted which others can not observe. All Internet traffic to and from the computer goes through this route shielded and can on this part will not be overheard. Additionally, VPN users can thus protect their IP address as websites visited only see the IP address of the VPN provider. According Perfect Privacy walk users of some VPN providers still risk their real IP address is known. The problem is with VPN providers offering port forwarding. It does not matter whether users of the VPN providers themselves use port forwarding, only the attacker must set it. To determine the IP address of a victim, there must be fulfilled several conditions. For example, the attacker must have an active account with the same VPN provider and the victim. The attacker must know the 'exit' IP address of the victim and the victim to open a file or page. An attacker who port forwarding is activated can then request to see the image or website which the real IP address of the victim is from. In total, nine tested Perfect Privacy VPN providers, of which five were found vulnerable. These parties have been notified. The problem, however, with other VPN providers are not tested, warns Perfect Privacy. According to security expert Darren Martyn can leak be used to expose BitTorrent users who illegally download copyrighted material. To shield their IP address are BitTorrent users who use a VPN service. By leak holders can still see the IP addresses of illegal downloaders. Martyn expects that companies connected with suing copyright infringers concerned will use this vulnerability to sue BitTorrent users.